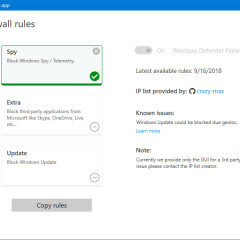 WPD is a portable tool to manage your Windows 10 privacy and firewall settings, uninstall Windows apps, and decide what apps can access your information. 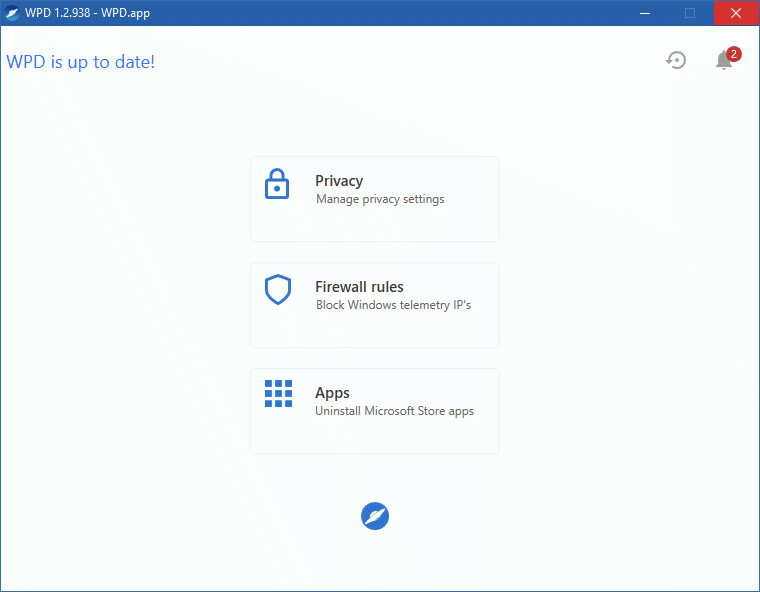 WPD enables you to disable Telemetry, Customer Experience Improvement, Advertising ID, Input Personalization, Cortana, OneDrive and other Windows features that have the potential to invade your privacy. 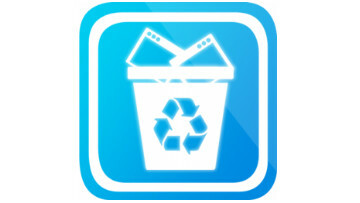 If you're not sure about any tweaks, there's a question mark icon next to each setting so you can be sure what you're changing. 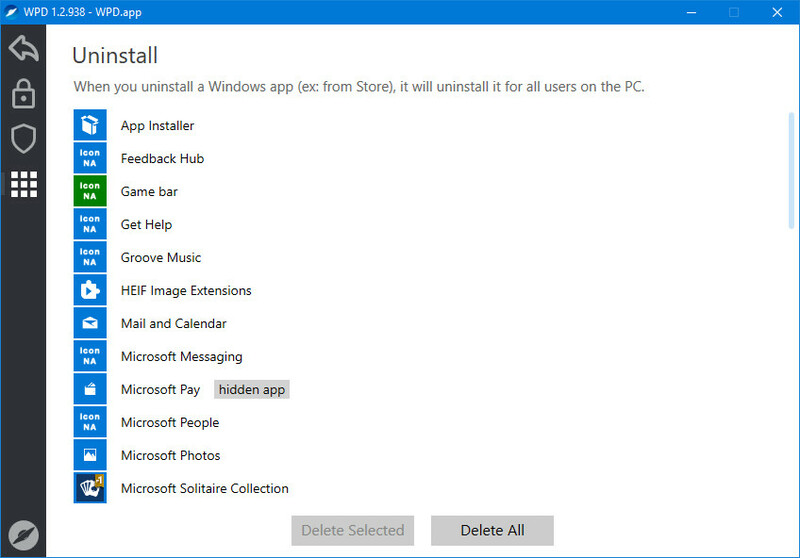 There's also an option that allows you to remove anything from the Windows Store that came with Windows 10 including Xbox, Photos, Tips, Get Office, and more. 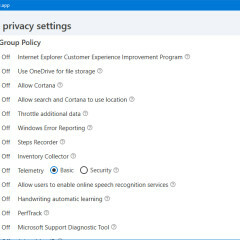 Privacy management - Customize Group Policy, Services, Tasks and other settings responsible for data collection and transmission. 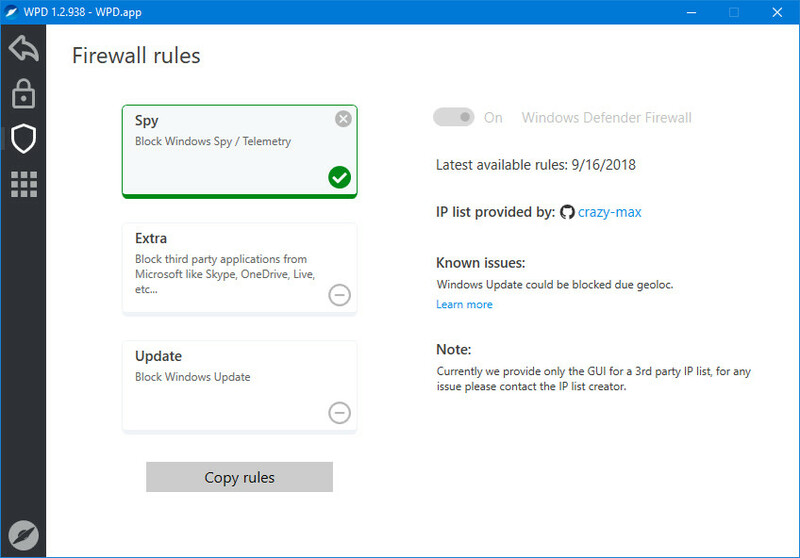 Firewall rules - Block telemetry IP's using firewall rules from the @crazy-max repository. 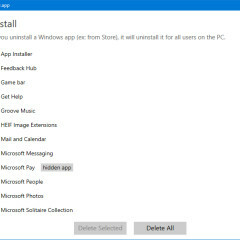 Appx uninstaller - Easy remove pre-installed Windows Store garbage or any other app. 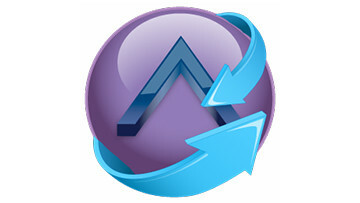 Added support for October 2018 Update. 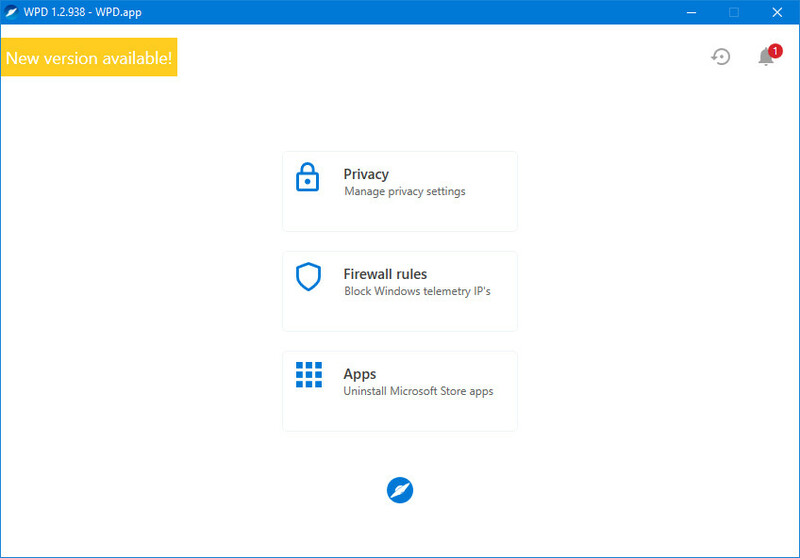 Added support for Windows 10 LTSC. 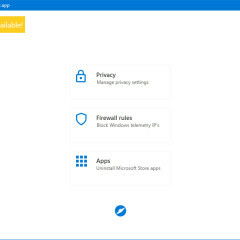 Added support for Windows Server Standard 2016, 2019 (as you requested). 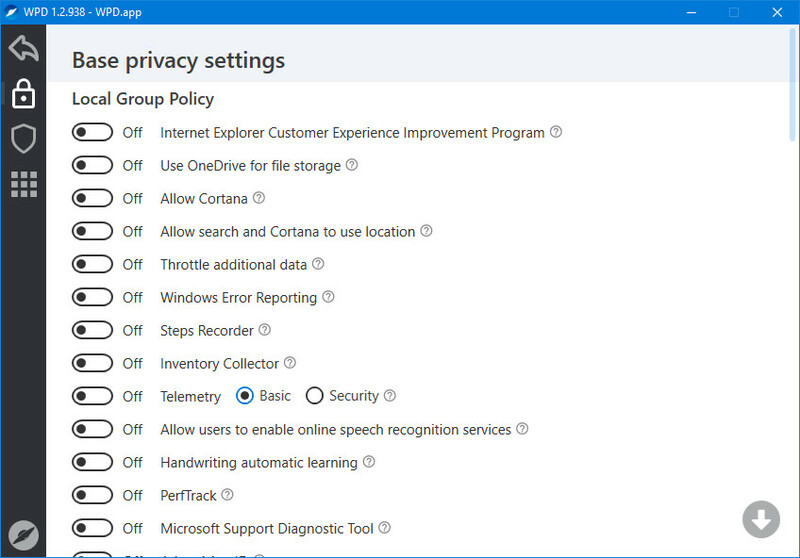 Added new privacy settings (depends on the version of Windows). 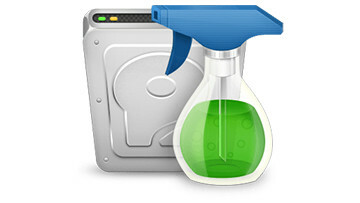 Fixed startup error on Home editions of Windows on some machines.